After months of speculation and anticipation followed by several desirable releases that caught the attention of Dragon Ball Z lovers and sneakerheads alike, the adidas Dragon Ball Z collection is drawing to a close. 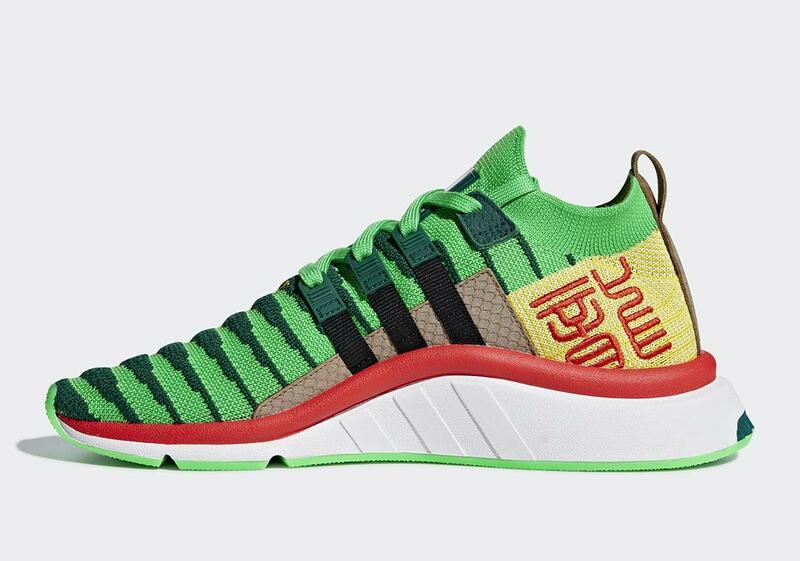 Two shoes from the pack remain: a duo of adidas EQT Support Mid PKs, one paying homage to the dragon Shenron and the other acknowledging his all-powerful counterpart Super Shenron. 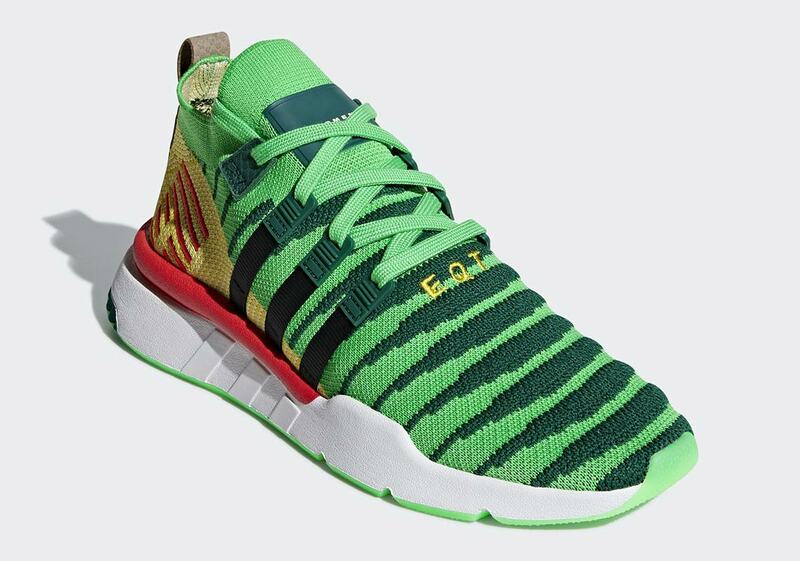 While Super Shenron‘s shoe utalizes a relatively straightforward combination of black and gold that acknowledges his omnipotence, the regular Shenron shoe opts for a much more colorful look. 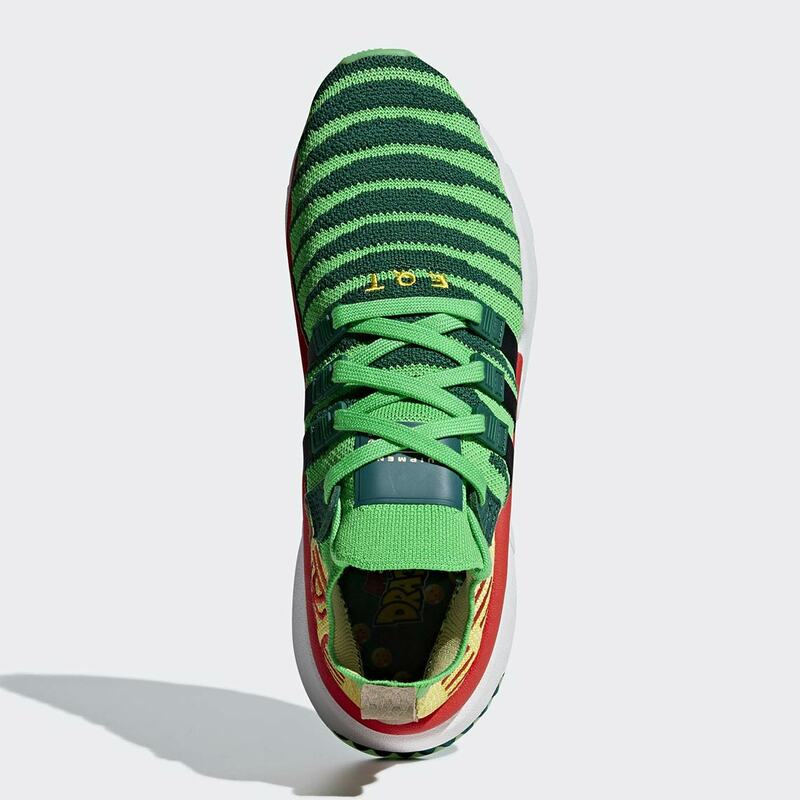 Yellow and light green Primeknit make up the majority of the upper, while raised dark forest green Primeknit stripes provide additional detailing. Scaly brown leather on the medial midfoot and heel tab nod to the dragon’s textured skin, and yellow/red heel pieces acknowledge the colors of all 7 Dragon Balls he must be brought to grant their holder one wish. 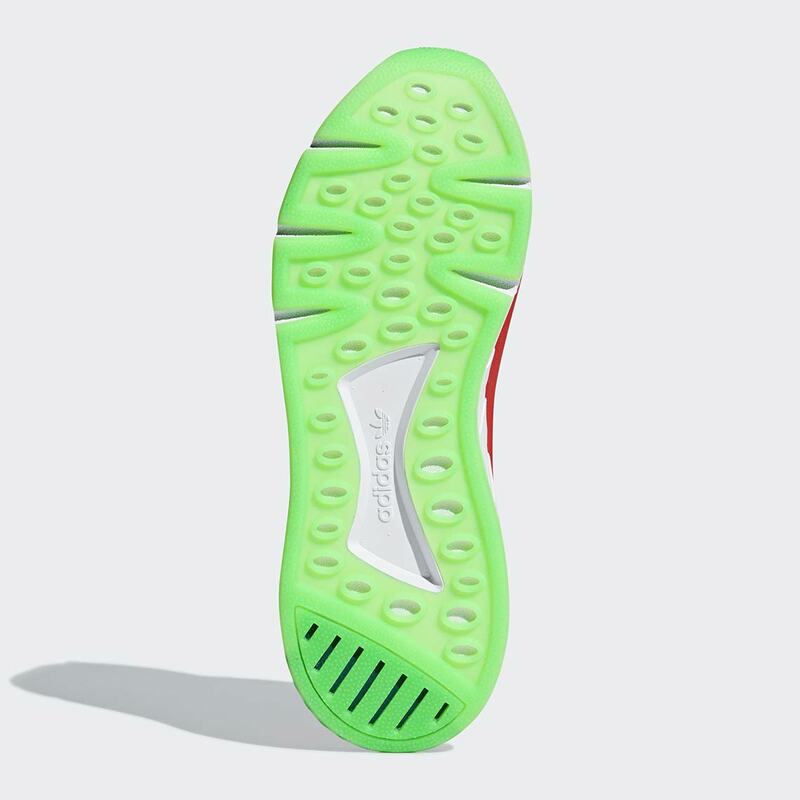 A special branded insole and translucent green outsole then complete the look. 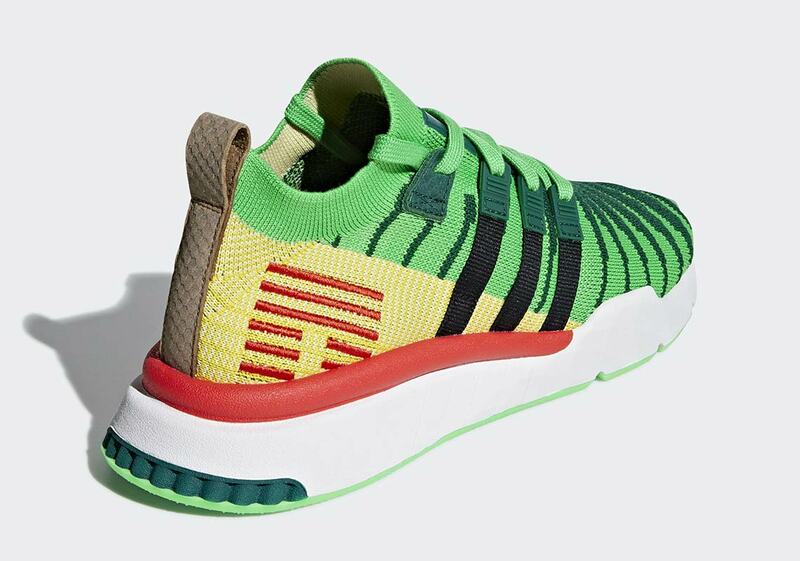 You can look for this final piece of the adidas Dragon Ball Z pack to release on adidas.com and at Three Stripes stockists December 18th. 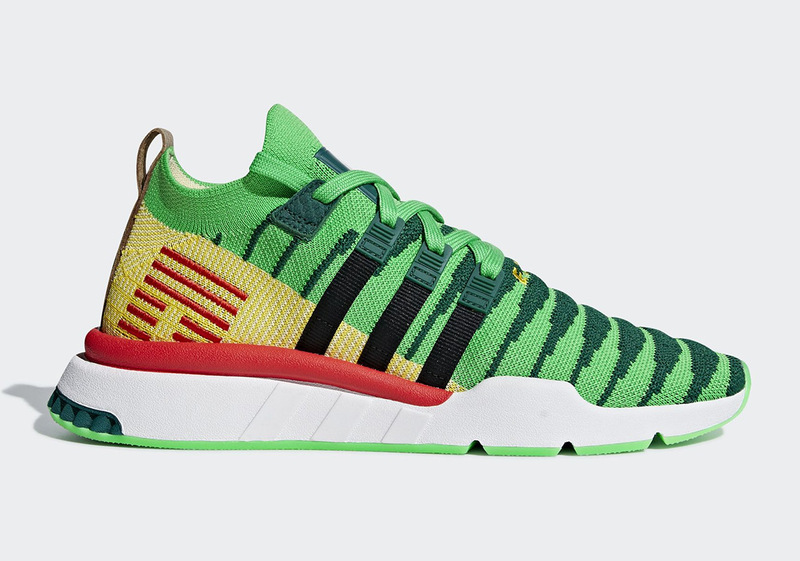 Update: The adidas EQT Support Mid ADV PK “Shenron” will now release on December 22nd.